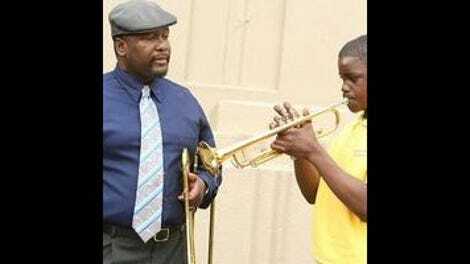 At its heart, Treme is a show about hope. As a series based around those who chose to stay in or return to New Orleans in the aftermath of Katrina, it has to be. Each of the characters has chosen to live in hope rather than despair and if there’s one underlying master plot to the labyrinthine assemblage of sub-plots that is Treme, it involves the question of whether or not their hope is well placed. The show offers no guarantees, illustrating again and again that if there really is any justice, it doesn’t belong to this world. Treme wouldn’t exist, after all, without the massive swipe from the cosmos that transpired before the events of the series, an Act Of God, to use legal parlance. But it was an Act Of God that highlighted the crimes and inequities we visit each other on Earth. And sometimes those can make it all seem pretty hopeless. “Me Donkey Want Water” opens and closes with two such hopeless moments, ending with L.P. paying a visit to the burned-out car in which the victim at the center of his investigation was found. It would be an ugly sight even if it hadn’t been used in a crime, a hunk of rusting metal overturned in a patch of swamp. The revelation that its owner still has to make payments on it would make for a darkly comedic moment if writer George Pelecanos and director Adam Davidson didn’t emphasize the somberness. For many after Katrina, this is what life has become: still paying bills on something that you can’t even use anymore. Why? Like the poor victim of Officer Wilson’s police brutality as the episode opens, it involves being in the wrong place at the wrong time. Sometimes being in the right place at the right time doesn’t matter either. 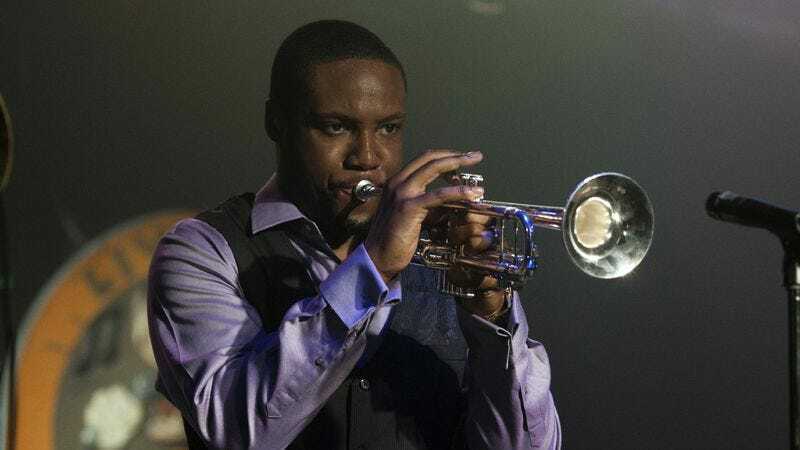 Davis has a long scene with Al “Carnival Time” Johnson, the New Orleans R&B star responsible for the hit that’s become his middle name, in which he recalls getting ripped off just as a matter of course, as if being in music in his day meant being taken for a ride. (Despite the less-than-cheery topic, it’s a wonderful moment. The look of reverence in Davis’ eyes as he watches Johnson play, his opera forgotten for the moment, offers a glimpse of sincerity unfiltered through the usual manic Davis-ness of his personality.) And sometimes, it doesn’t matter where you are or what you do. Albert learns this week that he has cancer, and now, there’s a 50/50 chance that he won’t survive it. He’s abused his lungs for years, but it’s something else that might do him in. But despite being penned by Pelecanos—the great crime novelist who traditionally comes in to bring down the hammer in the penultimate episodes of seasons of both Treme and The Wire—this is one of the most hopeful episodes of the series. For all the despair, it’s also an episode about saying “yes.” Like The Wire, Treme usually sticks to a familiar rhythm from episode, visiting one character, then another, and letting their situations rhyme against one another without much additional effort from the editing. When that rhythm changes, as it does in a sequence in which both Janette and Annie strike up partnerships—with a restaurateur and a manager, respectively—it means something. Here are two women, for now, on parallel courses, having abandoned reluctance and committed to life-changing projects. There’s no promise it will work out for either of them, but for now they're united by a sense of promise. So has Toni, to opening a new front in her decades-old battle with the police by publicly calling out the abusive Wilson. If anyone’s been given reason to surrender, it’s her. Her husband’s killed himself and her cases often go nowhere. And yet she persists. She has no reason to hope, but, like just about everyone else in Treme, she keeps hoping anyway. Lots of new connections and reconnections this week. Sofia meets Terry again. LaDonna and Delmond meet for the first time. (And come to a quick understanding.) Nelson meets Desiree and a young blonde woman (whom, based on her IMDB credits, wrestling fans will recognize) with few marketable skills, terrible pronunciation, but fine taste in shoes. Antoine, out of the yard, meets a new fan and lives up to his wife’s worst expectations. On that last point, Antoine seems even more at war with himself than in the last season. There’s the responsible teacher who really loves what he does. And then there’s the working musician who likes that, too. Those don’t seem that easy to resolve. Nelson’s speech about short cons vs. long cons seemed unusually frank until he reassured his partners they weren’t in the con game. But does Nelson have enough self-awareness to realize he kind of is? I’d forgotten all about Alison, the law student. With her return and the Wilson subplot, it looks like Toni’s case from last season is back in play. Interesting to see Delmond playing wherever, gigging around town like everyone else. In New York, he belongs to a specific, rarefied class. Here, he’s just people. Jacques and Janette seem like they’re going to revive both their professional and personal relationships. It’s a sweet pairing, but I wonder if Jacques will get more to do than just be the faithful sidekick. The return of Davis’ aunt: Always welcome.